Did you know that August 1st – 7th is World Breastfeeding Week? 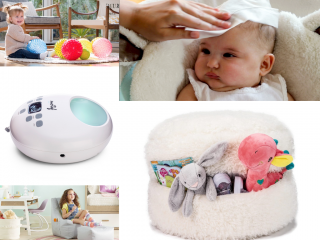 Throughout August we’ll be sharing some of our favorite nursing must-haves and we thought we’d kick off the week by sharing one of our breastfeeding must-have companies, NuRoo. 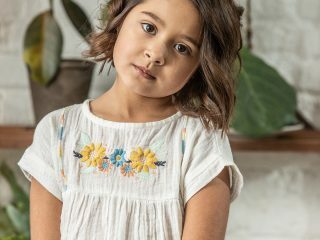 NuRoo’s mission is to make breastfeeding moms feel confident, breastfeed with ease, and stay stylish all the while, too. 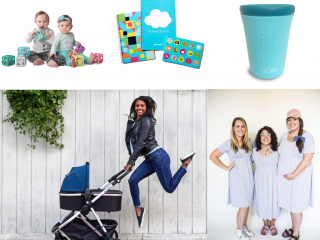 These items from NuRoo are some of our favorite breastfeeding mom essentials; they also make fantastic baby shower gifts as they are multipurpose and will last long beyond breastfeeding times. 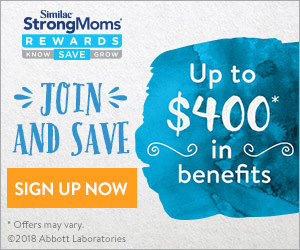 Use code WBW30 for 30% off the entire NuRoo website! 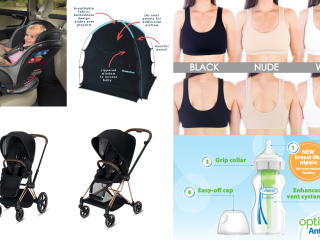 Multi-Use Cover: NuRoo’s Multi-Use Cover is the ultimate 4- in-1 cover, and we are all about multipurpose products when you have a new baby. 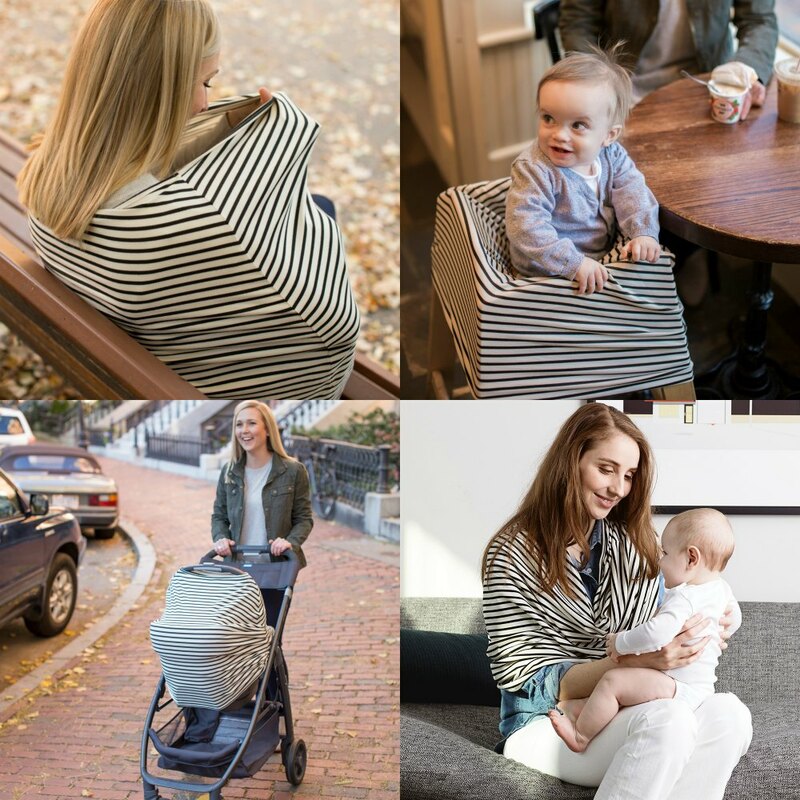 NuRoo’s Multi-Use Cover can be worn as a full coverage nursing cover, cozy infinity scarf, protect baby from the elements as a car seat cover or keep their little fingers free from mess as a shopping cart cover. Having a multi-purpose cover makes it so easy to pack up and get out of the house, as you only have to remember one item! 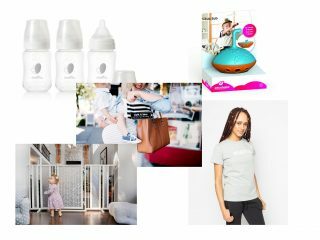 We especially love NuRoo’s Multi-Use Cover for urban mamas on the go, working moms, or moms with other children, since it’s just one product to remember in the diaper bag, lightweight, and serves so many uses. The Multi-Use Cover is super stretchy, buttery soft and made from the same breathable fabric as our other goodies. 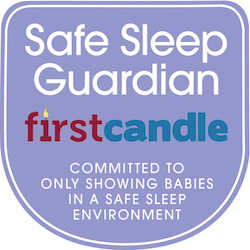 The cover comes in neutral grey and a black and white stripe – it also makes a great baby shower gift! Nursing Scarf: The NuRoo nursing scarf is super unique in that it has snaps all down the width for customizable coverage – very cool and ideal for moms of all different sizes. It can be worn several different ways, allowing you style however you please. Just like other NuRoo products, it is made from super stretchy, breathable fabric that feels good on your skin and baby’s skin. 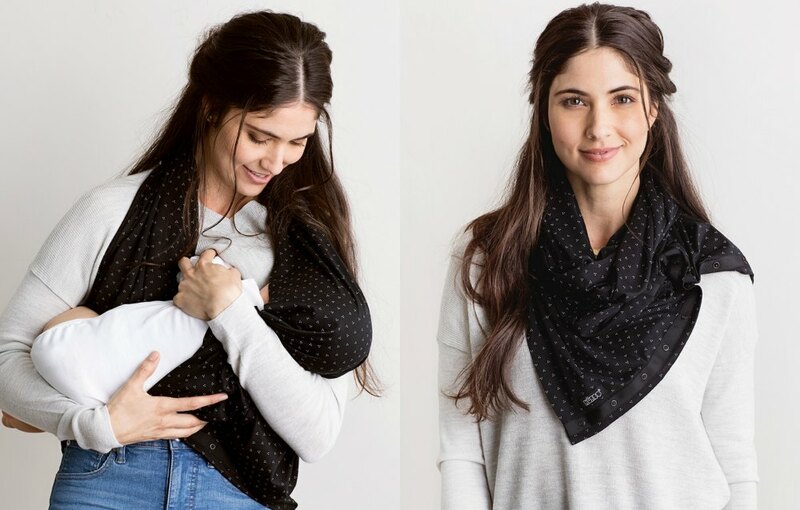 NuRoo designed this discrete Nursing Scarf to be your favorite accessory, wrapped or draped, front and back, over the shoulder or around your neck – it looks like a scarf, but gives you all the coverage you need in a comfortable way for you and baby. This versatile scarf comes in 6 very modern and chic patterns. 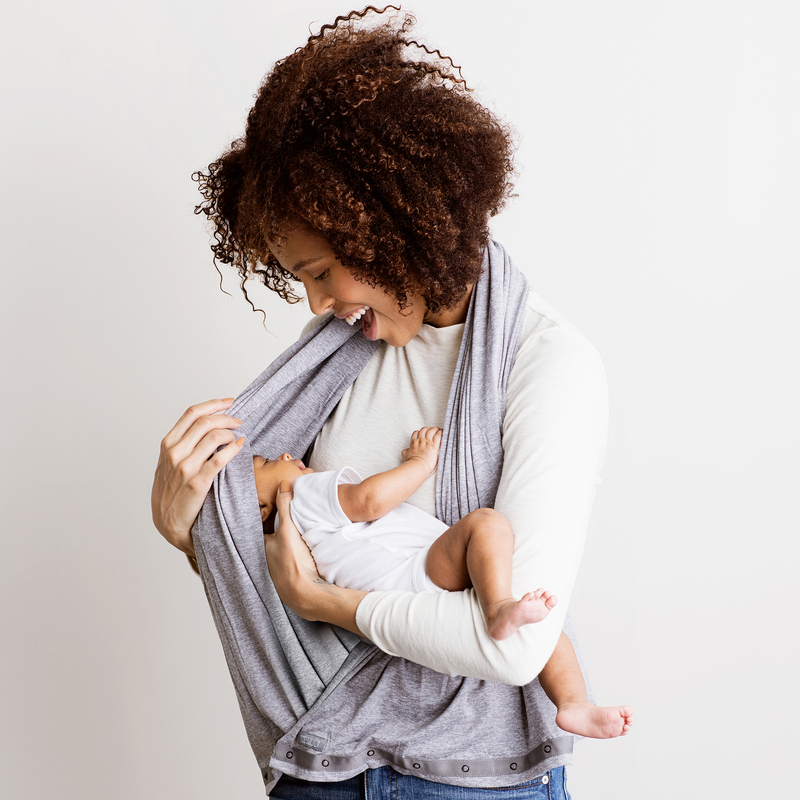 And of course, most importantly, the scarf is machine washable and dryer safe, so you don’t have to worry about spit-up or food ruining this essential breastfeeding must have! As an added bonus, you’ll love this fashionable scarf long after your breastfeeding days! Learn more about the nursing scarf here, too.